PowerPak Packaging is a Western Australian family business which has always focused and commitment to 'Extreme Customer Service' . Now, PowerPak has become Western Australia's leading distributors of Packaging Material, warehouse consumables and safety supplies. The range of PowerPak products cover everything from marking and identification products to washroom and cafeteria supplies. PowerPak has recently introduced to its range, the 3M Diamond grade reflective tapes and the reflective tapes class 2. The 3M Diamond grade reflective tapes are highly reflective, fluorescent tapes designed to deliver outstanding visibility night and day. They exceed AS1906.1 Class 1W standards and provide long outdoor life. 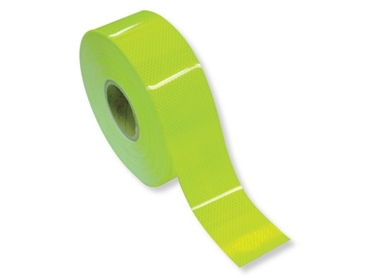 The Reflective Tapes Class 2 are suitable for use in all conditions and are available in both Red/White and Yellow/Black.